Never underestimate the appeal of retro gaming. One of the hottest gift items of the 2016 holiday season was the NES Classic, a palm-sized replica of the original Nintendo Entertainment System that didn’t do anything the 1985 original couldn’t but still managed to create waves of hysteria and inflated prices. 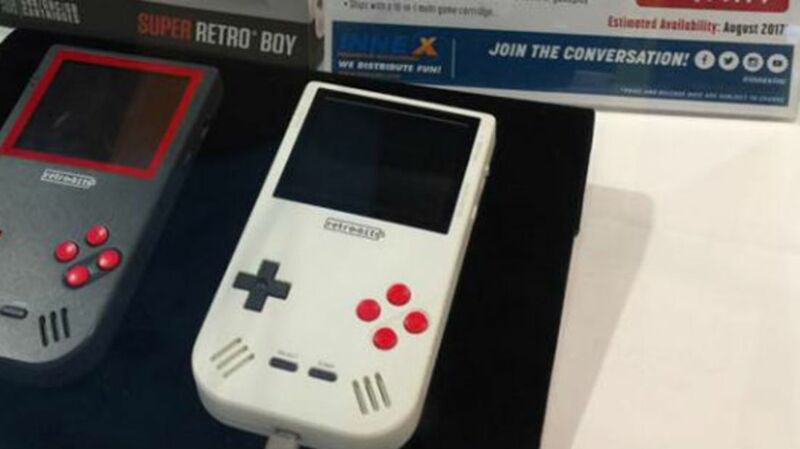 Now, Gizmodo reports, hardware distributor Retro-Bit is hoping to recapture some of that nostalgia-driven business this summer with the Super Retro Boy, a handheld device that mimics Nintendo’s original Game Boy with two key tweaks: it can play Game Boy Color and Game Boy Advance games and runs on a 10-hour rechargeable lithium battery. Like Retro-Bit’s previous offerings, the Super Retro Boy doesn’t profess to have any claim to Nintendo’s intellectual property, although some of the legal issues behind hardware clones are still murky. One gaming site theorizes that because patents on old gaming devices expire after a period of time, third-party developers are free to replicate their internal construction, so long as they alter the chassis design. The Super Retro Boy is due in August, with 10 bundled games (titles TBD) and a price tag of $79.99.